I do love all of the Disney Vacation Club Resorts, but I am most drawn to the Boardwalk. One of the reasons is this gorgeous lobby. 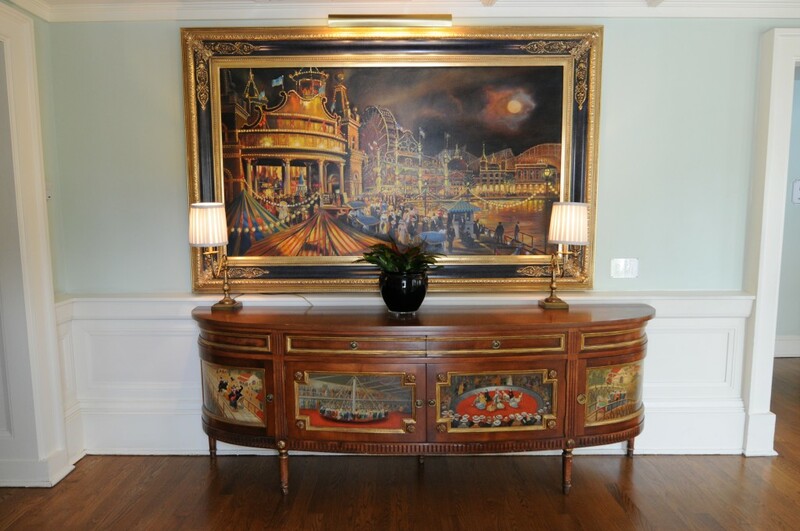 Decorated with a collection of memorabilia and art from the turn-of-the-century Atlantic shore amusement parks, the Boardwalk lobby is a fanciful and elegant step back in time. 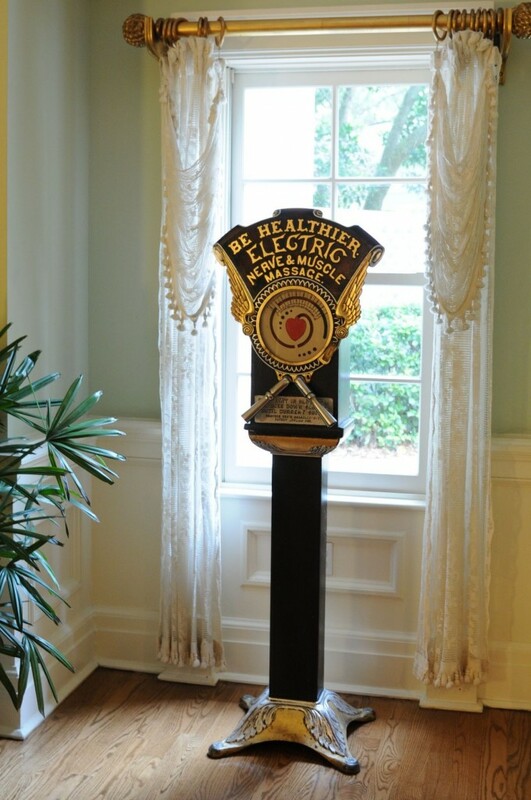 The attention on amusements of the time fits perfectly in the Walt Disney World Resort. Throughout the lobby and common areas of the Boardwalk you will find an array of unusual objects, like the weird little chairs with faces on either side of the fireplace. What you may not have noticed as you were rushing off to one park or another is that each piece of memorabilia is accompanied by a small placard with a description of the piece. 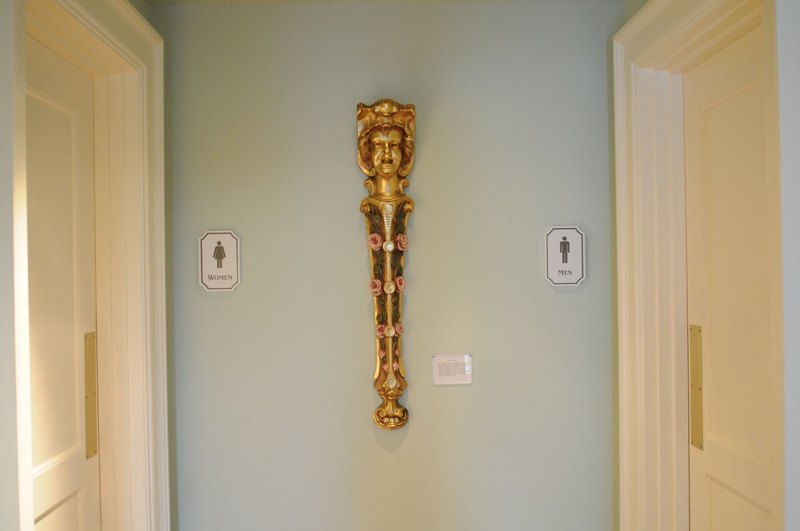 Most of the art and photos hanging on the walls also have one of these placards. It occurred to me that many people have probably not seen them, or if they have, may not have taken the time to read them all. Who wants to read the walls when you can be riding Space Mountain? I made it my mission to track them all down and share them here so that you can read them at work instead! 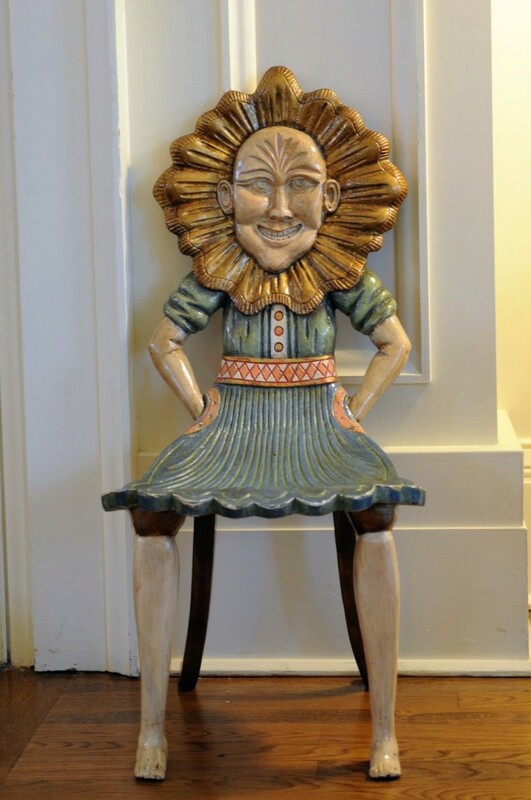 These face chairs, or “Nanny chairs,” we’re originally found on a 19th Century European carousel. While children rode on the elaborately carved and moving animals, the adults were offered the still chairs to rest themselves between activities. 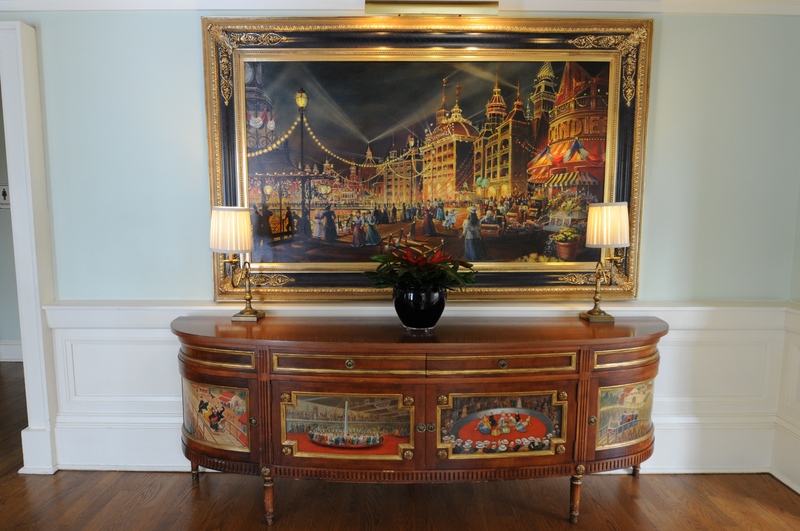 Cast from the circa 1880 European originals, hand painted and gold leafed. 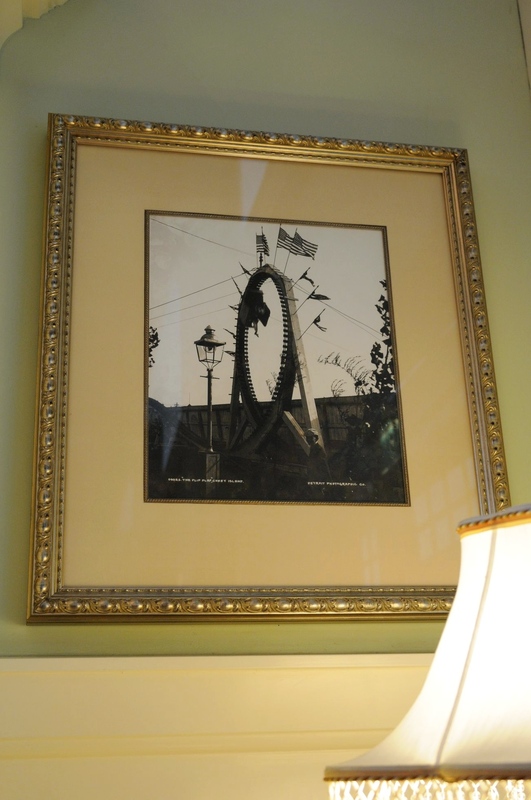 George C. Tillyou, founder of the Coney Island Boardwalk’s Steeplechase Park, once said: “Paradox: a successful ride must look extremely dangerous yet convincing that the ride is completely safe.” The Flip Flap fulfilled both specifications, and was a fantastically successful Coney Island attraction. See the Flip Lap model toward the center of the lobby. Photo courtesy of the Library of Congress. Circa 1910. Designed by architect J. Mason Kirby, this 43 room hotel (admittedly most of these rooms small and extraordinarily in shape) was an imaginative example of early entertainment architecture. 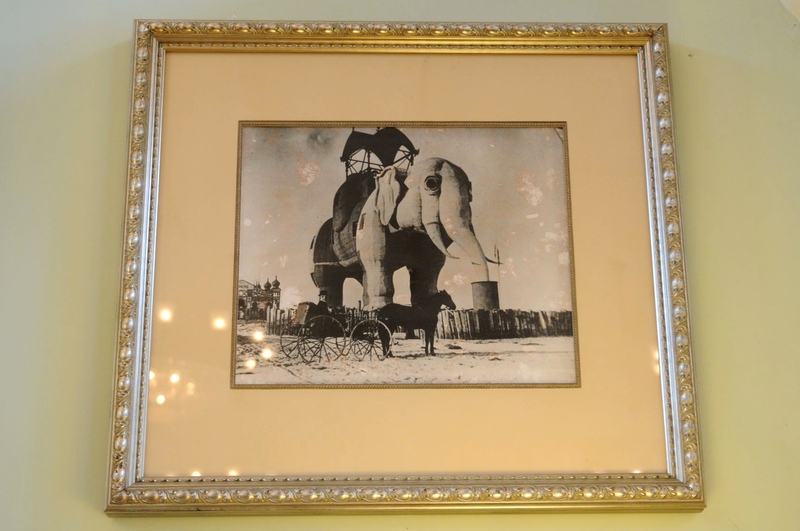 The elephant hotel was 150 feet long and 15 stories high from toenail to howdah. The legs were 18 feet in diameter and enclosed circular staircases to the rooms above. 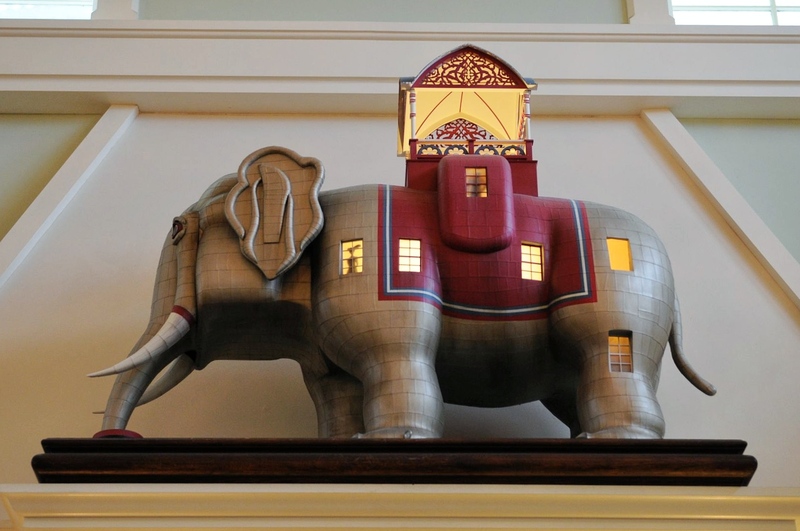 The Colossal Elephant signifies the heightened symbolism and festive gaiety of entertainment architecture as it emerged in the late 19th century. In a turn-of-the-century newspaper article, Richard Le Gallienne reported that “… Coney Island seemed charged with a magical power to transmute customary appearances into fluid possibilities.” The elephant-shaped hotel certainly demonstrated that premise, be getting the “Coney Island lunacy” that attracted crowds to join in the suspension of disbelief. Photo of J. Mason Kirby’s second elephant hotel, Lucy, located in Margate, New Jersey, courtesy of the Library of Congress. Circa 1910. M. C. Illions, Coney Island’s premier carousel designer and carver during the golden years of the American Carousel, carved this fanciful miniature in his Ocean Parkway Studio on the Boardwalk in the mid 1920s. 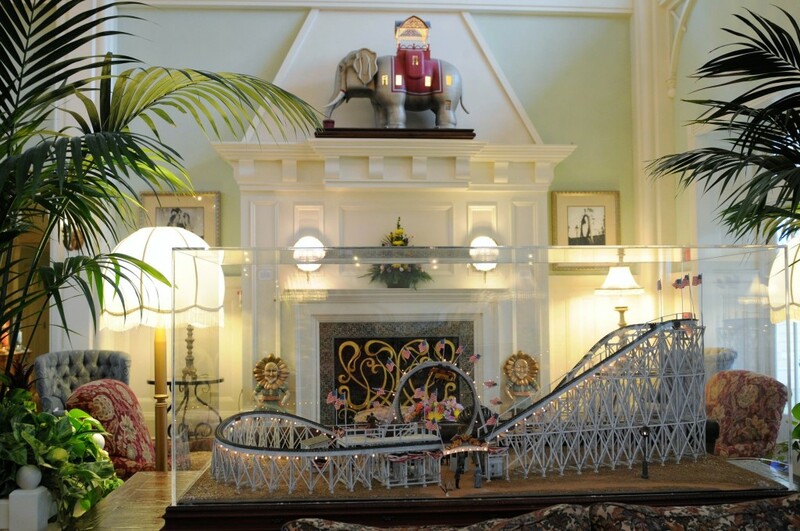 Built to display his abilities and garner commissions for full scale versions, this fully operating miniature traveled the country in the early 20th Century before spending nearly 80 years behind closed doors. 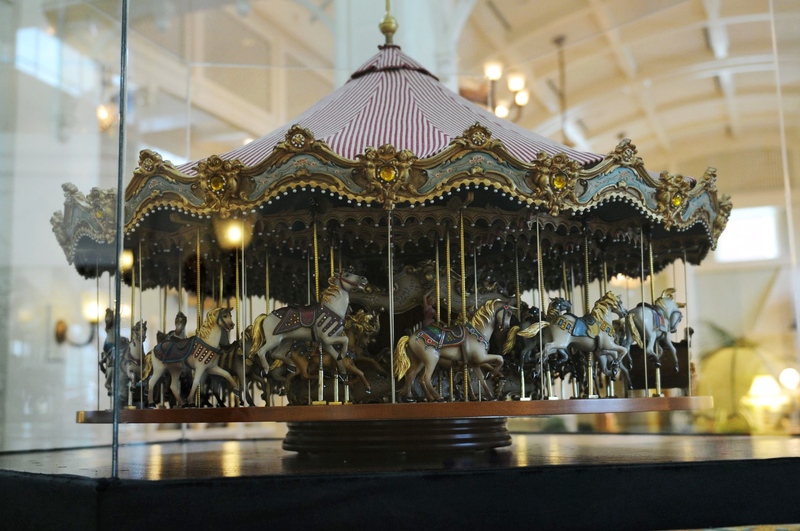 After being purchased by Disney in 1995, the carousel underwent one year of meticulous restoration by a team of Walt Disney Imagineering artists, craftsmen and engineers in Glendale, California, in order to return the piece to its former glory for its new BoardWalk home at Walt Disney World. These antique finials represent the ornamentation that was essential to the success of even the earliest amusement parks. Frederic Thompson, the designer of Coney Island’s Luna Park said: “(The architect) must dare to decorate a minaret with Renaissance detail or to jumble Romanesque with l’art nouveau, always with the idea of keeping his line constantly varied, broken, and moving, so that it may lead gracefully into the towers and minarets of a festive skyline… I have tried to keep it active, mobile, free, graceful and attractive.” Originally carved in wood. Circa 1902. The swan seat is of European origin from the period of large themed carousels dedicated to one species of animal, bird or fish. 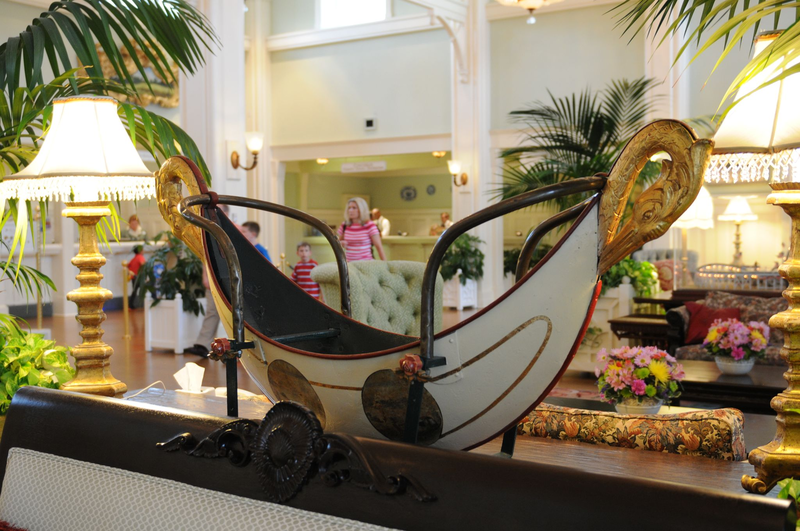 These grand rides had dispensed with rocking gondolas or spinning tubs in favor of these more fanciful creations. Giant baskets carried the passengers on a “Ménage des Cochons (ride of pigs). This swan seat originally hung from chairs and rocked on the carousel floor from the shifting weight of the children inside. Iron and tin with hand painting and gold leafing, circa 1890. The new amusements parks of the turn of the century had many attractions: dancing, band performances, bathing, circuses, vaudeville. Truly unique and special were the rides – the mechanical diversions that enticed the crowds. Rides allowed participants to experience movement and gaiety and loosened inhibitions. The showcloth banner, or “ballyhoo,” is a holdover from the late 19th century when BoardWalk amusements were seasonal venues whose facade architecture was little more than a collapsible wall of elaborately painted canvas. The “ballyhoo” enticed passerby to partake of a particular attraction – in this case, the jewel-size living horse. On canvas with gold and silver leaf. Of all the early amusement parks, perhaps Luna was the most exotic. It was an enchanted storyland of trellises, columns, domes, and minarets. Founded by Frederick Thompson (a student of the Ecole des Beaux Arts), Luna Park was designed with the idea the “… everything must be different from ordinary experience. Visitors to the seaside resort are not in a serious mood, and do not want to encounter seriousness. Everything must have life, action, motion, sensation, surprise, shock, swiftness, or comedy.” Oils on canvas. This penny arcade icon was a prominent forerunner of the motion picture at BoardWalk arcades. The original machine contained a wheel of still photographs that the penny-payer rotated by hand, giving the illusion of movement. 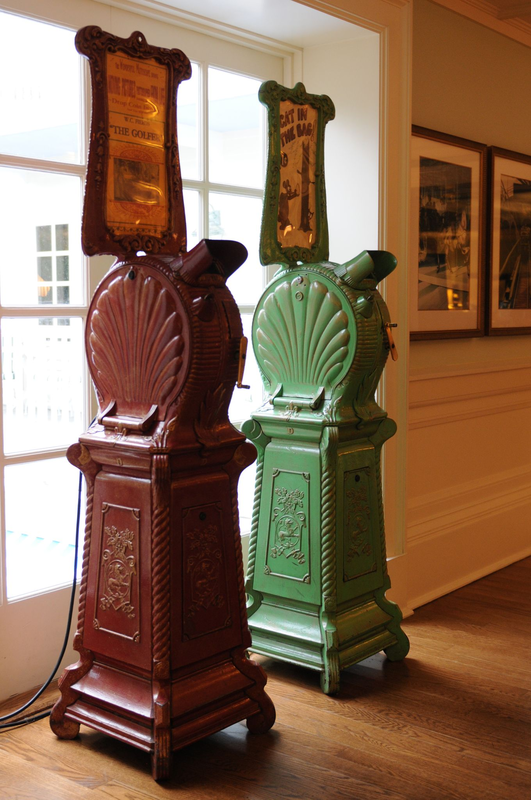 It is believed the coin-operated machine tradition began around 200 B.C. in Egypt. Temple goers would receive holy water by dropping five drachmas into a small slot. This early 20th Century arcade machine is a rare remnant of a bygone era. Restoration has included gold and silver leaf. All manner of sculptural elements decorated the turn-of-the-century BoardWalk carousel to provide sumptuous ornament for the visual feast of the amusement business. 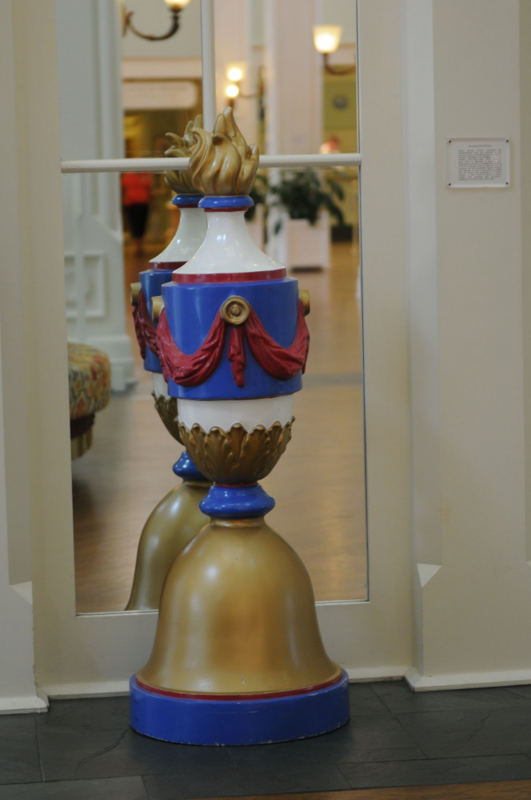 Carved by M. C. Illions (see Illions Supreme Miniature in Disney’s BoardWalk tower), this figurine originally surrounded mirrored panels and was accompanied by dozens of similar figures. Cast from the circa 1910 original, hand painted and gold leafed. These original turn-of-the-century images feature contemporaneous views of early BoardWalk life – some even depicting the time before amusement parks were built on the New York and New Jersey shores. Most of the illustrations predate inexpensive photographic reproduction processes. Artists sketched their scenes on prepared wooden blocks, which were then incised by the hand of master carvers. 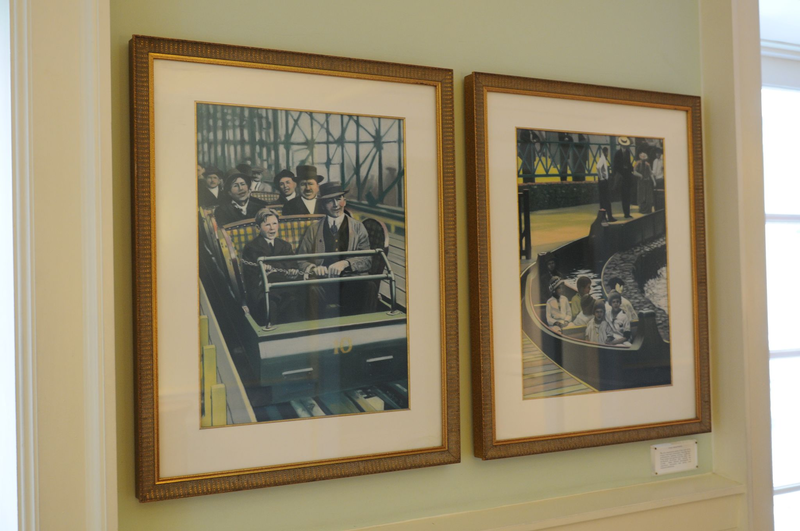 Scenes depicting the life and times on the BoardWalk were popular at the turn of the century and brought the frivolity of the Atlantic shore into the homes of faraway readers. Circa 1890, Harper’s Weekly. Before the camera, other art processes prevailed to allow viewers to study scenes from faraway locations. 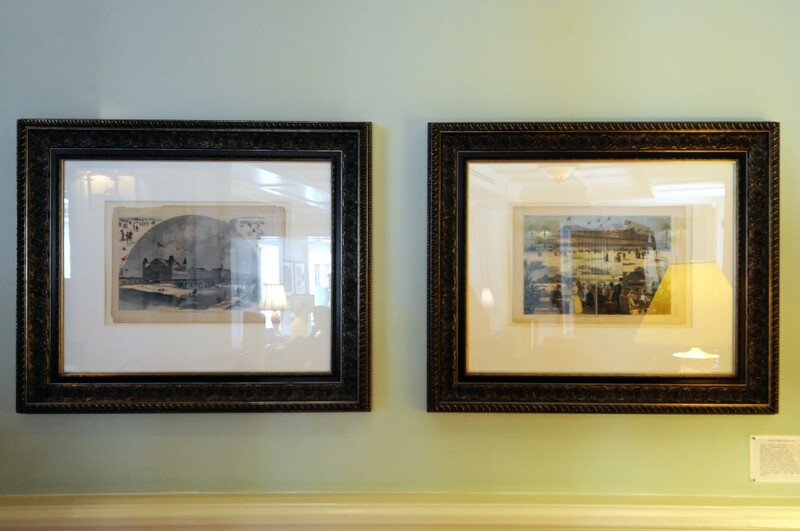 Late 19th Century publishers commissioned artists to depict landscapes of faraway places which were assembled in “view books.” These images were originally published as woodblock engravings. 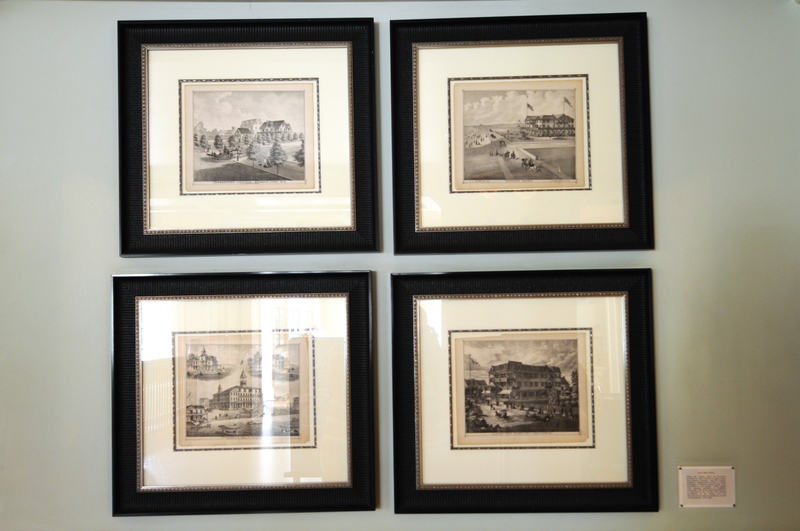 Each of the images featured here is engraved on the reverse with detailed descriptions of the unique style and character of the respective InnKeeper and his accommodations. Circa 1900. 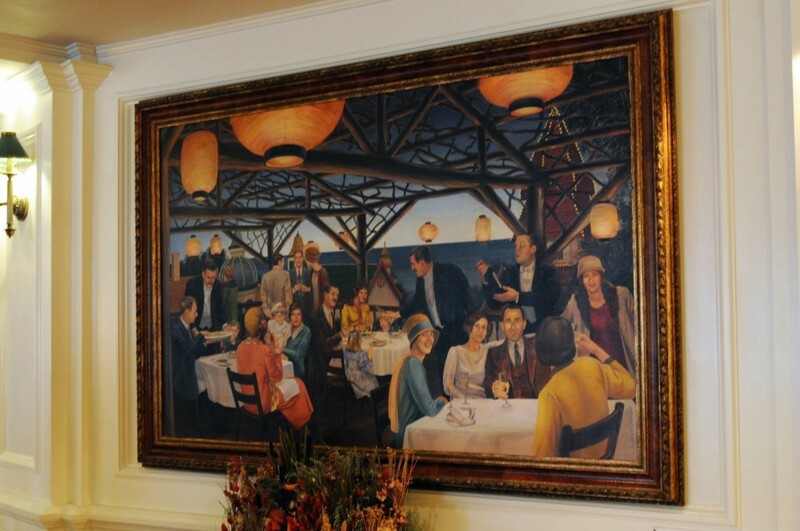 This original oil on canvas is a fanciful rendition of a popular BoardWalk restaurant venue from the 1920s: rooftop garden dining. 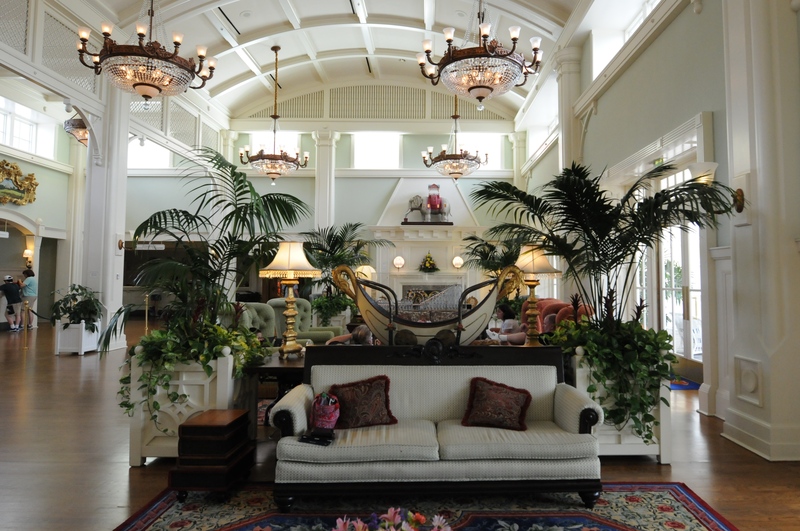 Patrons enjoyed ocean views from essentially Victorian buildings with rustic architectural add-ons. The paper Chinese lanterns were a popular feature of this type of plein aire retreat and lent an exotic air. I was unable to locate a placard for this unusual machine and the Cast Member I spoke with didn’t know anything about it. I decided to share the photo regardless because it’s so interesting. 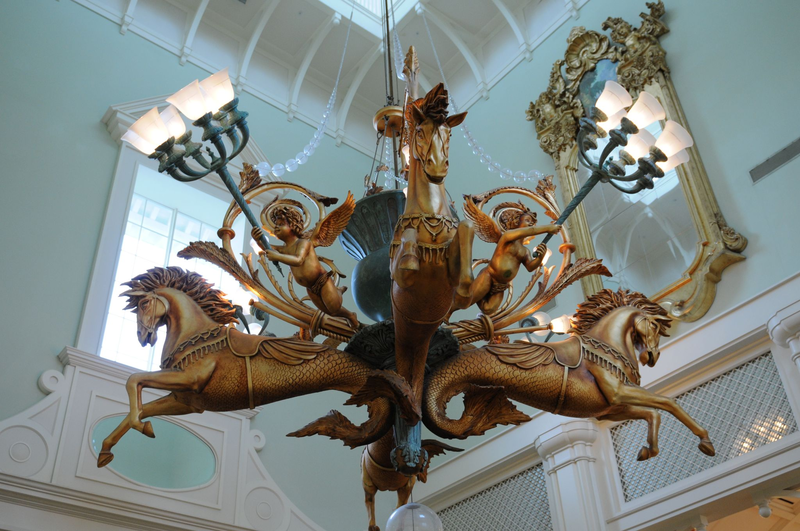 You may also notice that there is no placard for the magnificent chandelier in the tower. I was told that is because this piece was created especially for Disney. It was inspired by a similar chandelier found on the Atlantic seaboard. I hope you enjoyed a closer look at the beauty that can be found in the Boardwalk lobby. 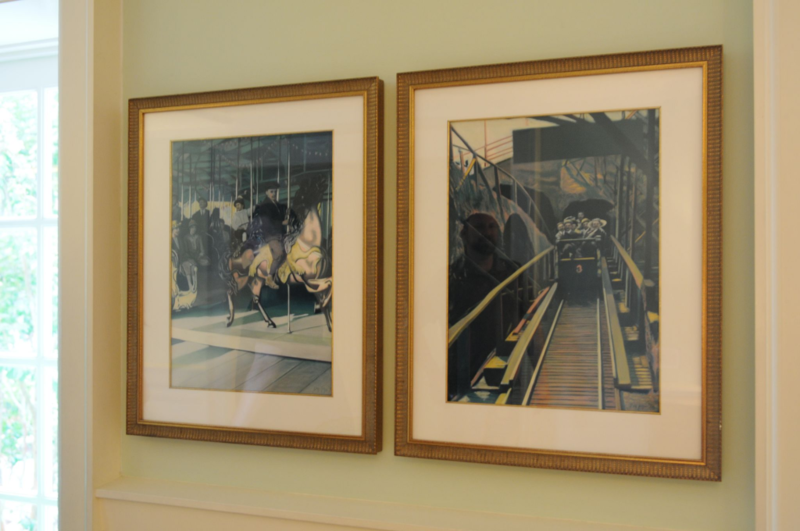 The next time you visit the Boardwalk Villas, take some time to appreciate the detail of the art and photographs found throughout the resort. 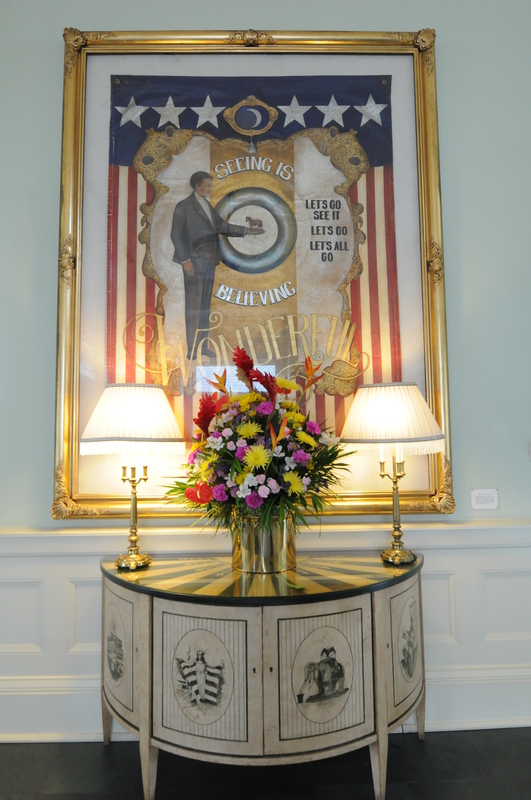 6 thoughts on "Turn-of-the-Century Art at Disney’s Boardwalk Resort and Villas"